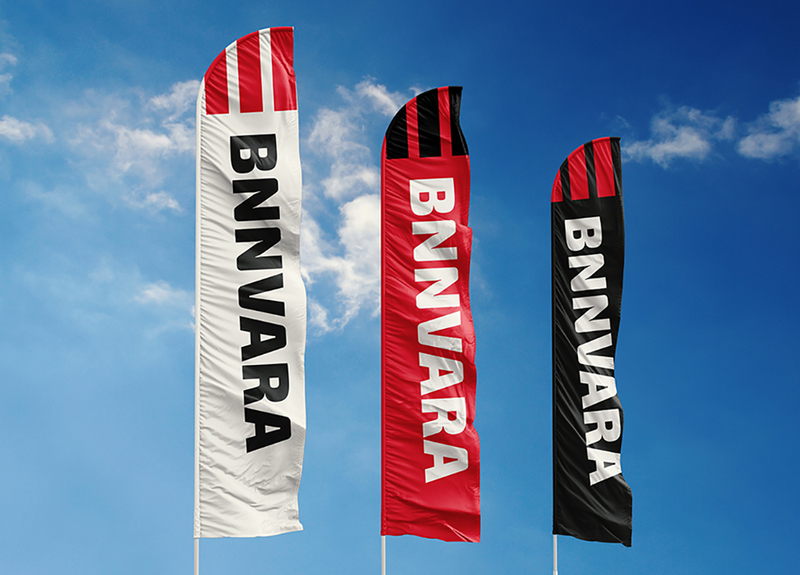 Last week BNNVARA introduced its new visual identity. From now on the broadcasting combination, which up to now continued broadcasting under two separate brands, will appear in public as one single brand. 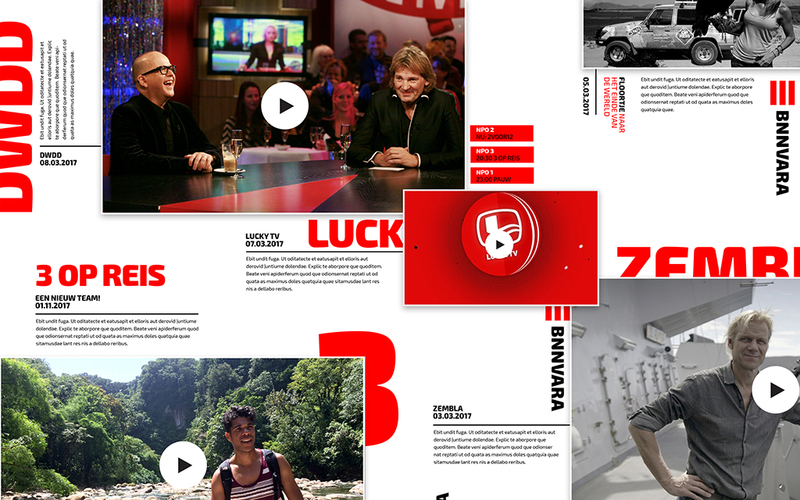 Design agency Dog and Pony is responsible for the new visual identity. 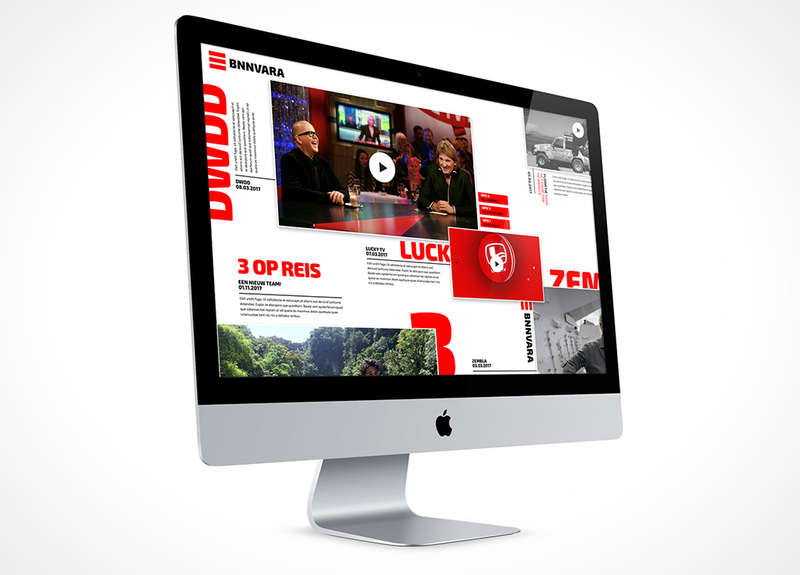 Dog and Pony developed a visual concept that does justice to the cross-media platform with the following components: TV, radio, digital platforms such as private websites, YouTube channels and social media. 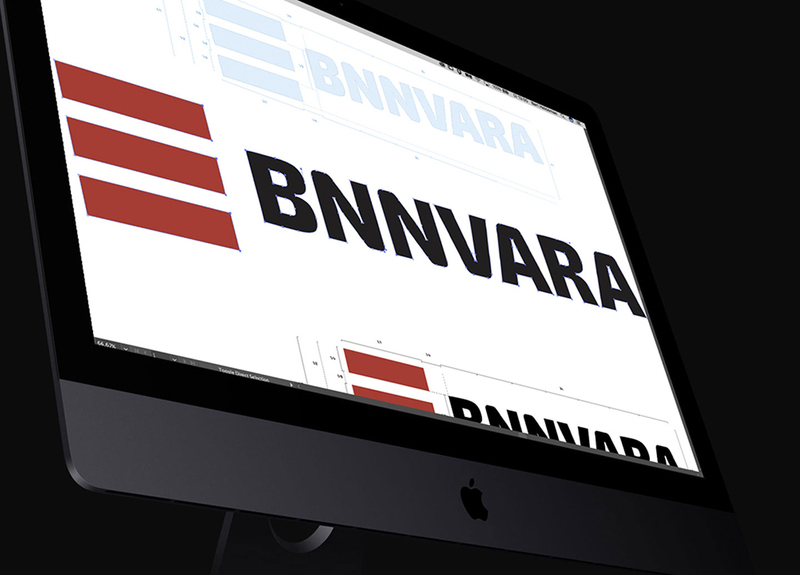 The result is a dynamic visual system enabling BNNVARA to offer the user the same visual experience on any device. The connecting element is an iconic, clean and applicable logo. 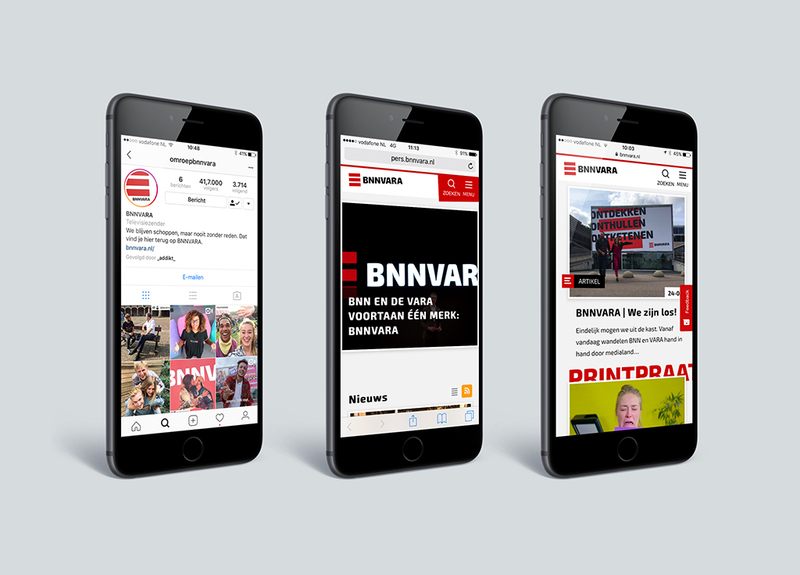 Dog and Pony chose a variation of three powerful red bars, which, on the one hand visualizes the internal drive of BNNVARA (discover, reveal, unleash) and, on the other hand, refers to the ‘hamburger menu’. 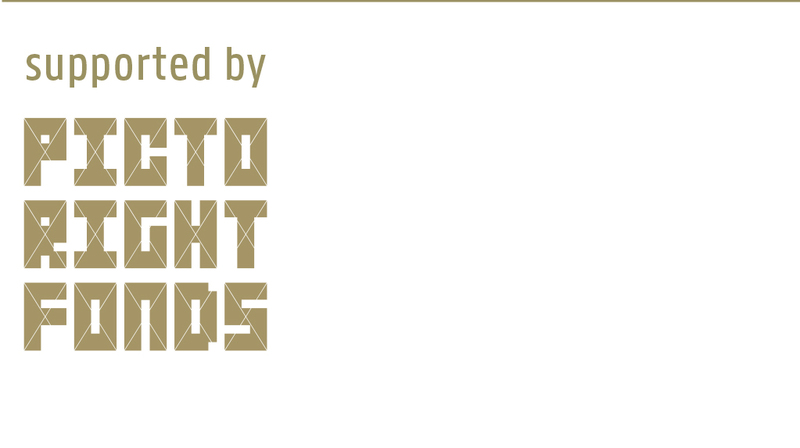 In collaboration with Addikt (motion design), MethodAudio (sound design) and the design and digital department at BNNARA, the identity was further developed and elaborated in idents, promos, ads, websites, apps, and other online and offline applications.